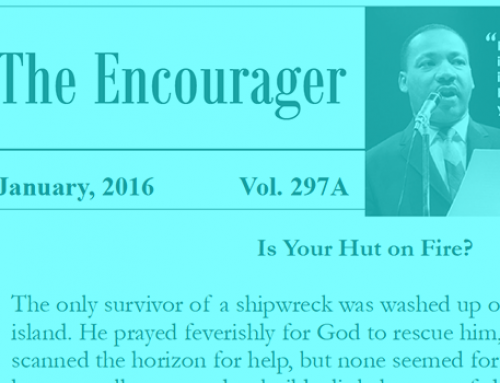 To view the entire February 2016 Edition, please click here . Five years ago, I went on a search to answer the question: What can people do to have a happy, fulfilling, lifelong marriage? I sought out an unusual source of information, however. I didn’t ask psychologists or consult self-help gurus. I didn’t ask psychologists or consult self-help gurus. Instead, I decided to go to the people with the most experience: older Americans who have been married 50, 60, 70 years and more (described in my recent book, “30 Lessons for Loving” (Hudson Street Press, January 8, 2015). I believed that the view from the finish line of marriage would be uniquely valuable – and I wasn’t disappointed. Marriage is hard. Even though this is not on the minds of couples getting engaged or standing at the altar, the elders want you to know that marriage is hard. It’s tough – both because of the range of stresses and problems that confront all couples, but also because of the fundamental difficulty of merging two separate and different people into one single life. I learned that they see marriage as a discipline, like becoming an athlete or a musician – you never reach perfection, you are constantly learning, and you sacrifice short-term gain for something more rewarding later on. But marriage for a lifetime is worth it. Being with someone for a half century or more, they told me, is incredibly good. It is a sublime experience, a connection to another person unlike any other relationship. The elders describe it as the experience of a lifetime. For people who make it, it even beats the heart-pounding passion of falling in love for the first time. So making a marriage last may be hard, but the elders also want young people to know that it’s worth the effort. Think small. What can you do to keep the spark alive and the marriage interesting for decades? The elders advise you to think small. The view from the end tells you that a marriage is made up of hundreds of daily interactions. In each of those you have a chance to be positive, to be cheerful, to be supportive. They suggest that you make a habit of doing small, positive things. One idea that came up often is doing your partner’s chore. Say it’s 6 AM on a cold, rainy morning, the dog is scratching on the bedroom door, and it’s your partner’s turn to walk him – but you get up and do it. That’s money in the bank for the relationship. Stop trying to change your partner. When you are getting serious about someone, the elders say you must accept your partner as is, or don’t get married. You should never say to yourself: “After we’re married, she or he will lose weight/get a job/like my family/change heart about having kids” – or any other behavior or attitude you don’t like. Instead, ask yourself: “Can I live with this trait for a lifetime.” And at any point in a relationship, making your partner a doit- yourself project only leads to anger and disappointment. Are we hungry? Here’s one that surprised me. When a couple is having an argument that threatens to become a truly major blow-up, the elders suggest that what you may need is – a sandwich. That’s right: these long-married folks say that you should never argue on an empty stomach. Offer your partner something to eat when he or she is about to fly off the handle. According to the elders, rather than a therapist you may sometimes need a pastrami sandwich or a piece of pie. It’s cheaper and more fun!